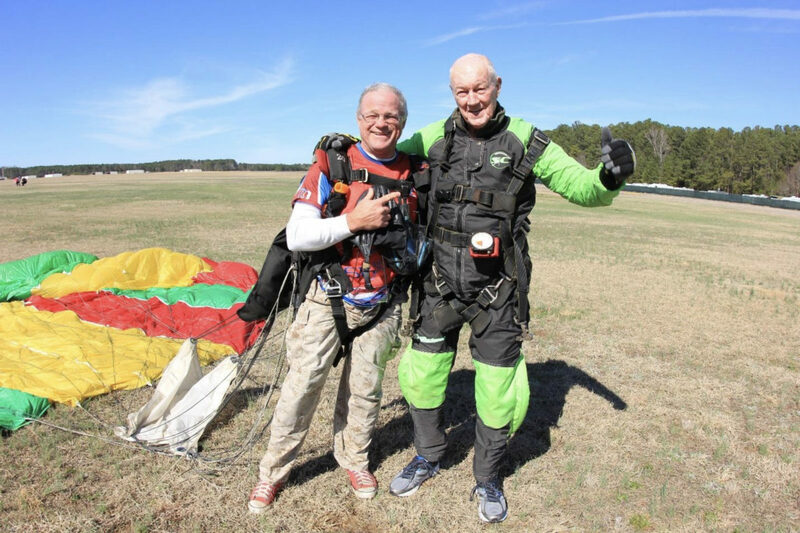 At age 80, Bill Jenison, came out to Skydive Carolina to conquer his goal of jumping out of an airplane! Bill’s an adventurous man who’s led an incredible life. We had an opportunity to sit down with Bill and learn more of his story. Grab a seat and be inspired! Born February 1938 at home on a Sunday morning in Langley SC, a cotton town mill near Aiken, SC. Raised by a great mother and father. Mother was born in SC and father was born in Massachusetts. 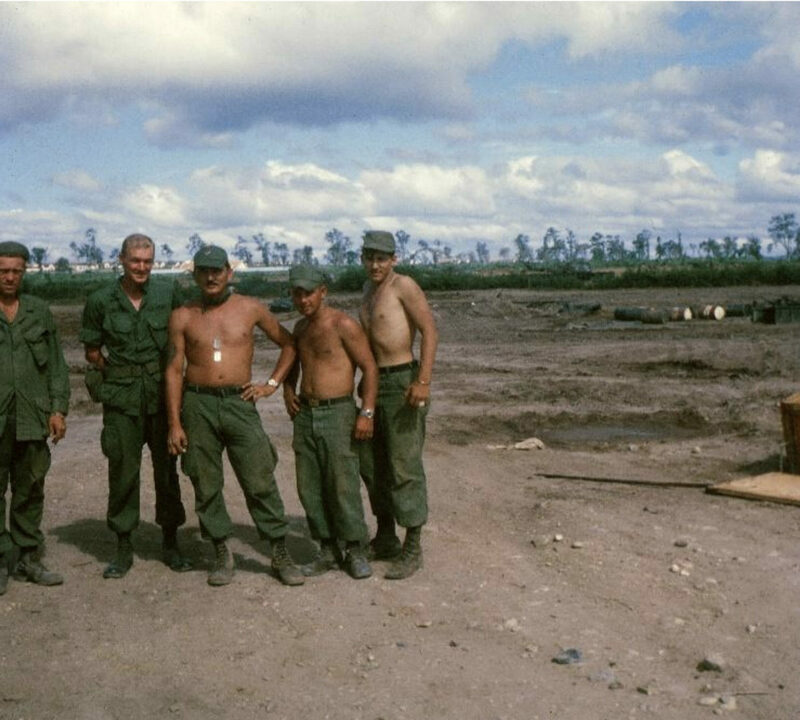 Older sister and brother (US Army veteran), provided examples of how to live right. Both the epitome of an older brother and sister. Attended Langley Grammar School and Langley-Bath-Clearwater (LBC) High School. Brother and I biked just about everywhere in the county. Cut neighbors’ yard grass. Went rabbit hunting with our father, brother, and friends of our father. Delivered the Augusta Chronicle to about 30 families in Langley. Worked in a textile plant at Clearwater, SC in summers and during college breaks. Home now is Richmond, VA.
What was your profession and passions throughout your life? US Army officer and engineer. Passions are family, relatives, education, and the USA. What kind of things do you do for fun and why? -Genealogical research: to appreciate our ancestors, what other parts of the world they came from and why, where they settled, earned a living, and how they contributed to our great country. -Running: to stay healthy, enjoy family, and life. 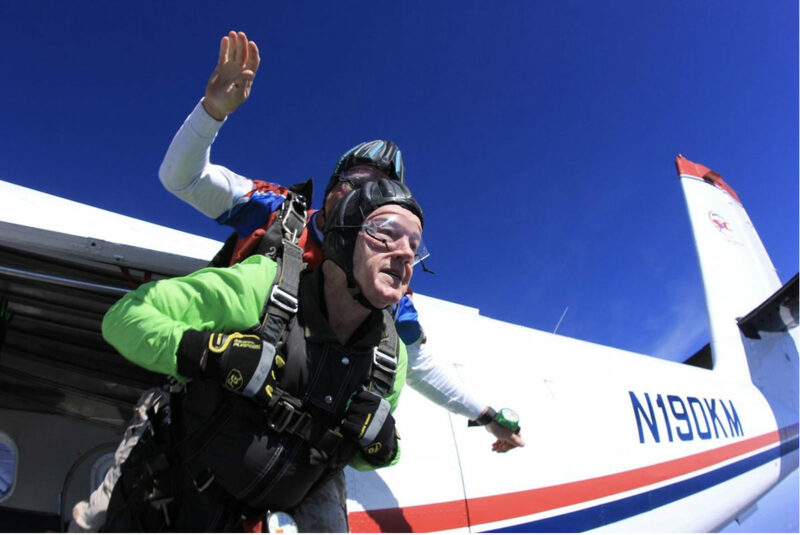 What/who inspired you to go skydiving at 80 years old? Our daughter Amy. She jumped several times as a high school student while attending an American high school in the Netherlands. She has indicated that the jumping experience there has supported her being successful in other areas of her life. What was YOUR biggest concern going skydiving? What was your favorite part of the jump? The incredibly smooth, relaxing floating after the chute opened. 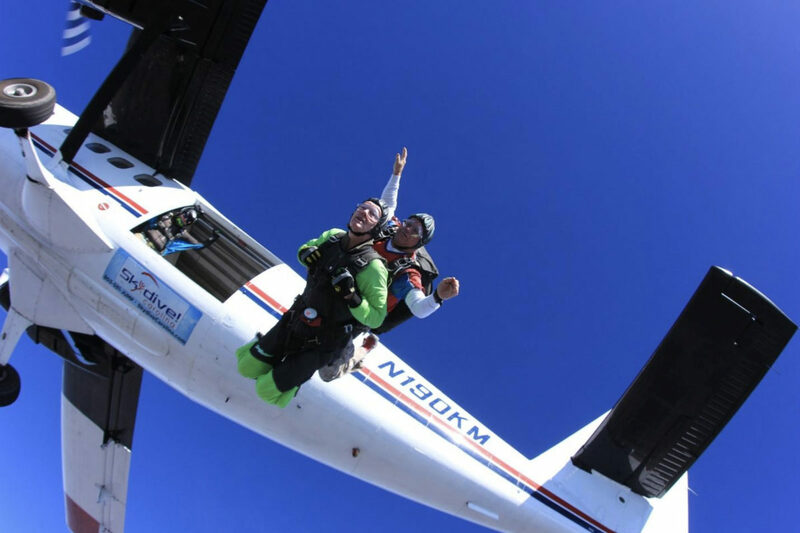 Many people say that skydiving changes their life – has it changed yours? Yes. The skydive to me was further confirmation of an old saying. “Accept challenges. You will be amazed AND satisfied by what you can do and accomplish”. Would you do it again, why or why not? Yes. It is a challenge and exhilarating. Challenging experiences such as skydiving encourages one to pursue, accept, and accomplish other challenges. If you want to discover skydiving or conquer a goal like, Bill, give us a call and we’ll gladly welcome you to this incredible sport!